Body made of polyester with fibreglass, PC optic diffuser. Gear tray made of steel sheet finished with powder coat RAL 9003. 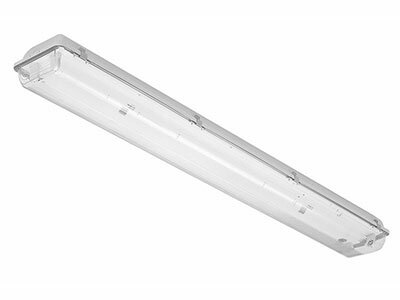 Luminaire is assembled with stainless steel clips, low lost ballasts and with paralel compensation. 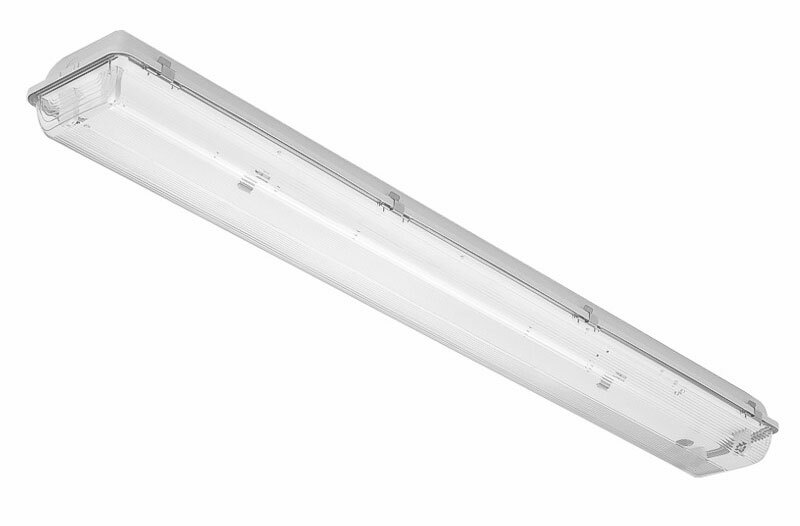 Luminaire is made only with VVG. Luminaire is packed with suspension eyelet and grommet.